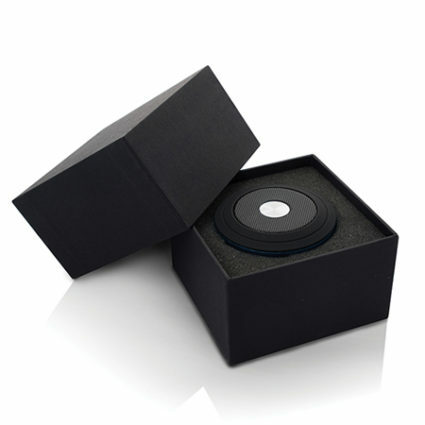 Custom cardboard gift box for promotional speakers. Great custom corporate gift to expand your brand. Add value to the promotional gift. Easy to post to customers. Add a business card or message in the box.